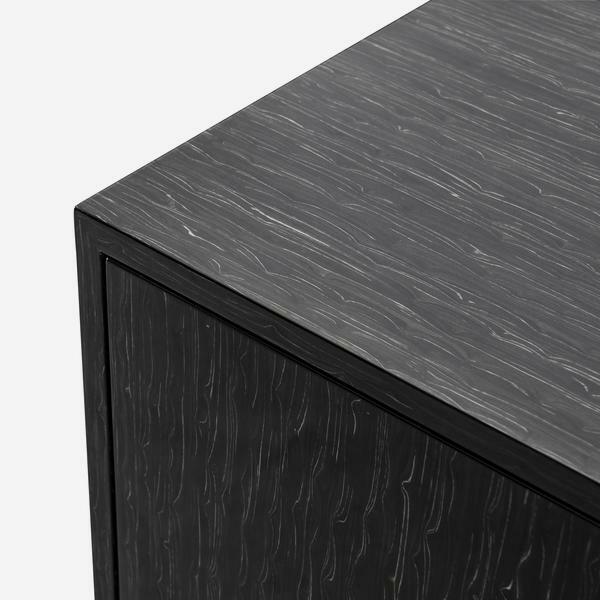 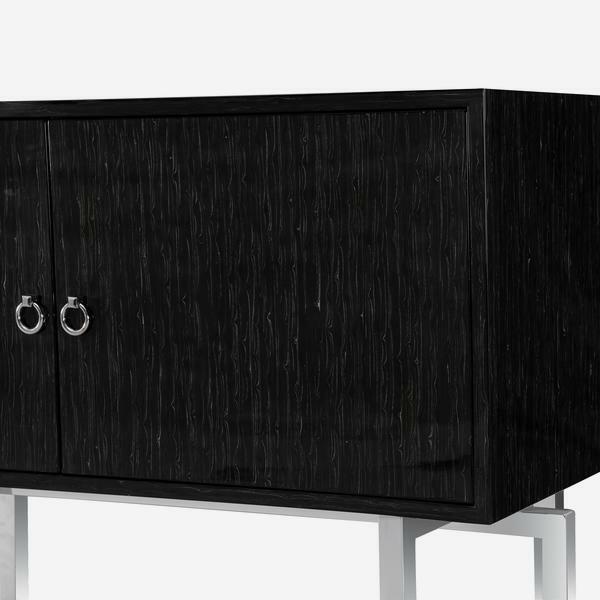 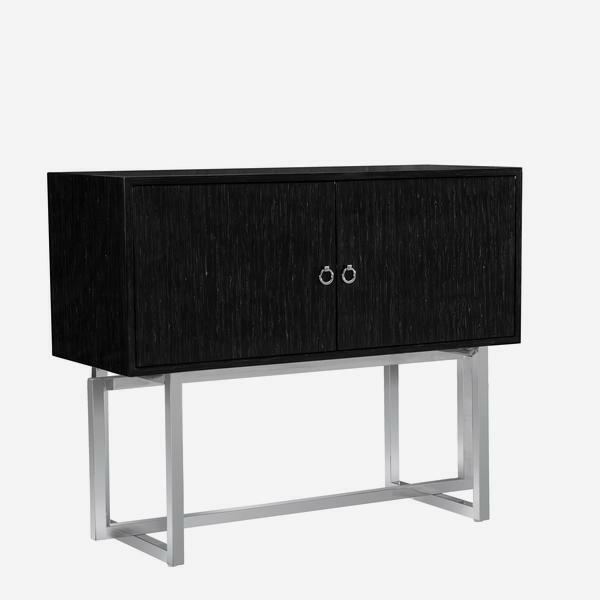 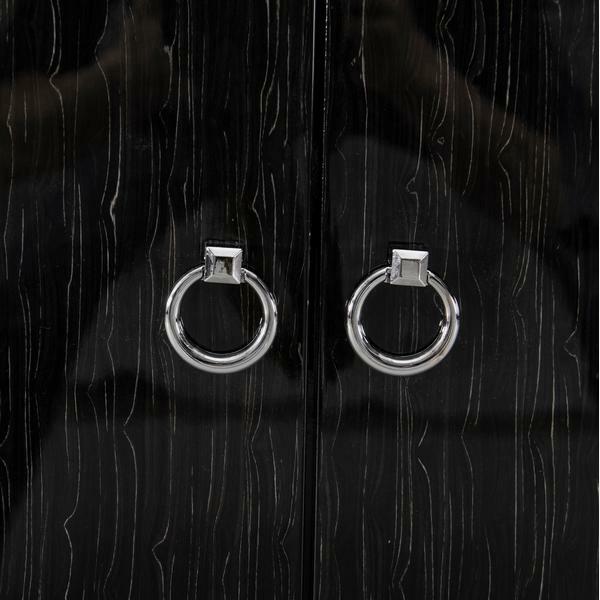 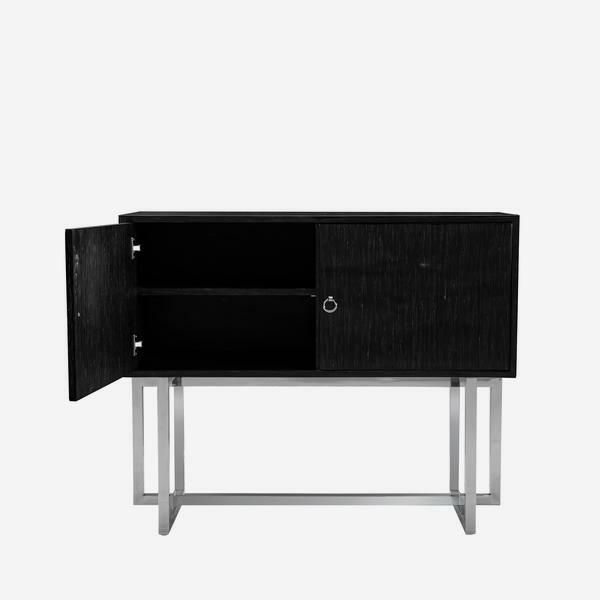 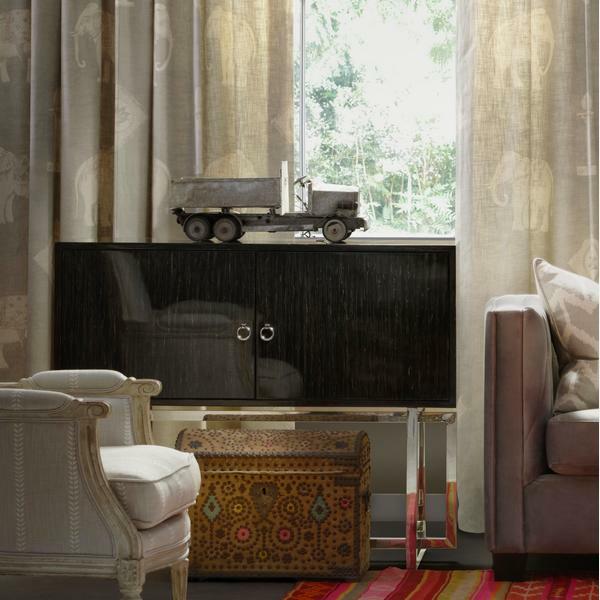 A sleek and chic cabinet with a detailed, black wood finish, chrome loop handles and a chrome standing frame. 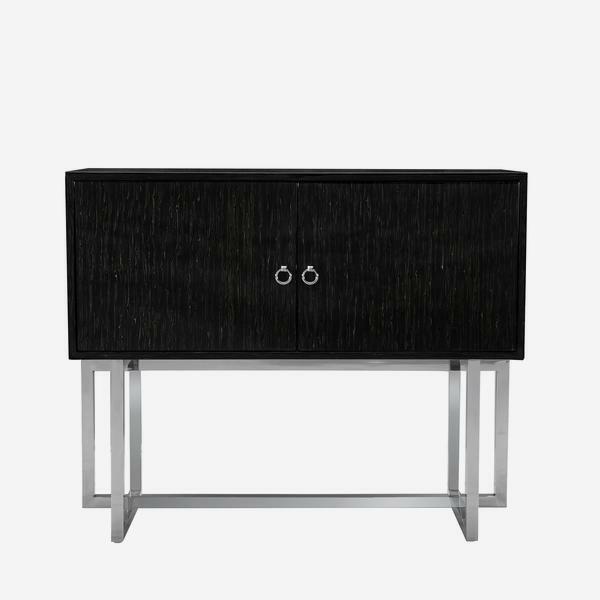 Brooke's clean-cut shape and geometric cross frame contrasts with the light, sweeping grain in the wood which adds a decorative, almost Oriental, feel to this cabinet. 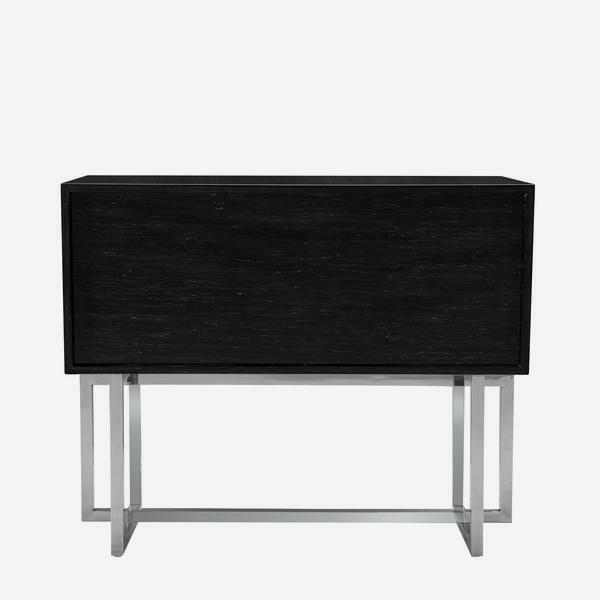 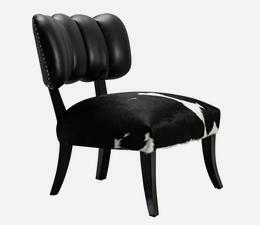 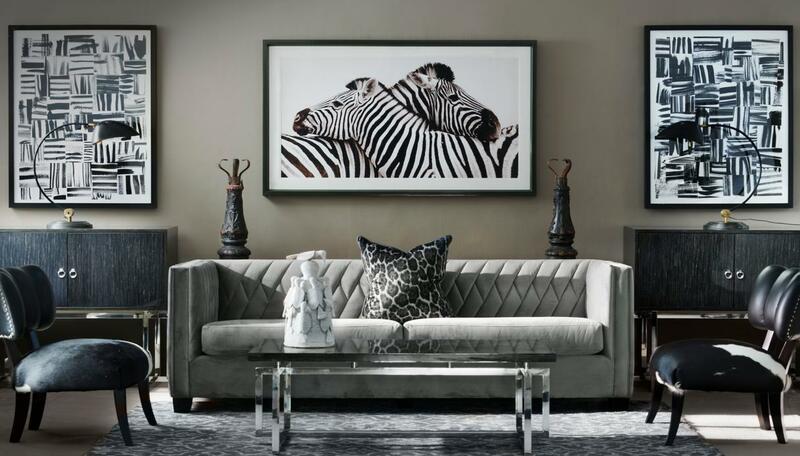 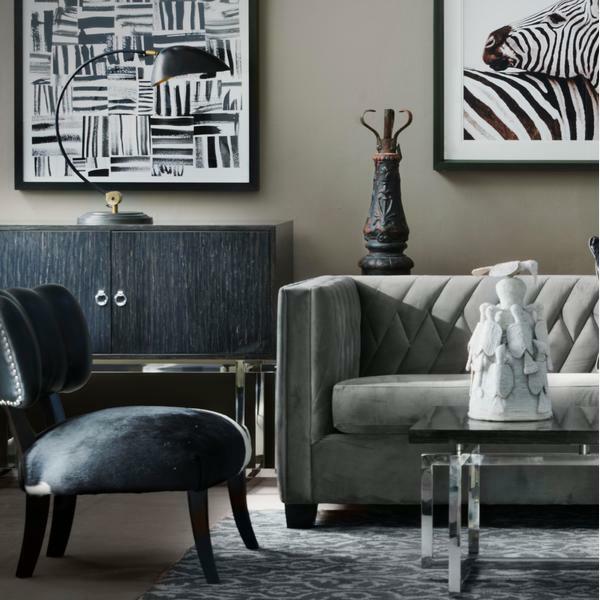 Brooke is the perfect piece to fit under your television as its middle shelf is just dying to hold your film collection.